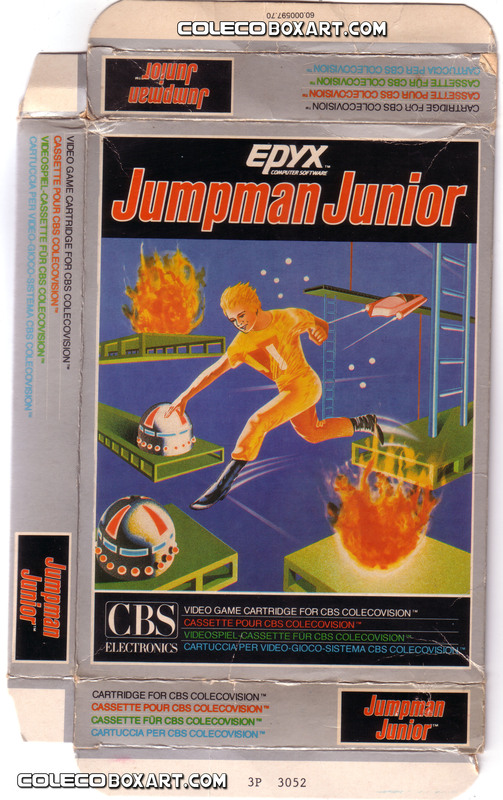 Jumpman Junior is a trademark of Epyx Inc. 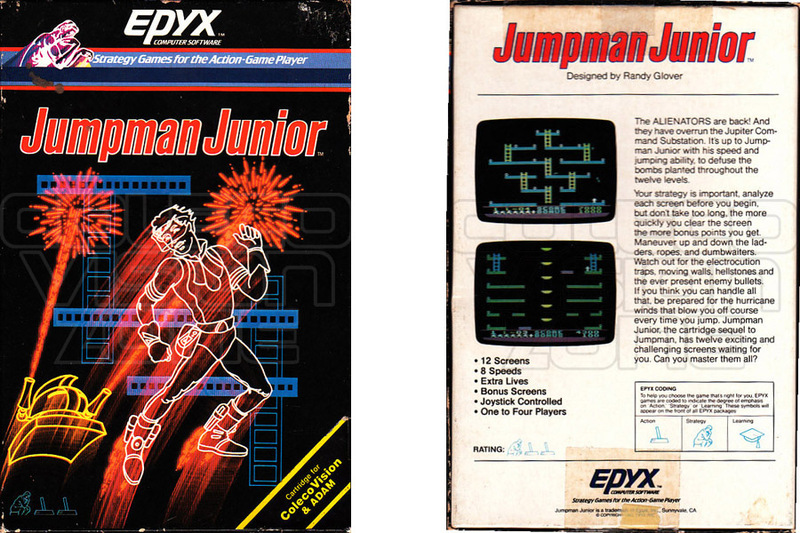 Program and Audiovisual ©1983 Epyx Inc.
Jumpman Junior is a game full of variety and suspense. 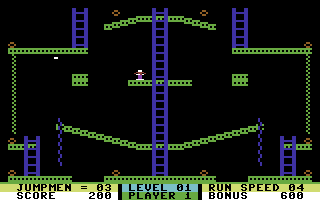 There are 12 different game levels and from one to four players may play. 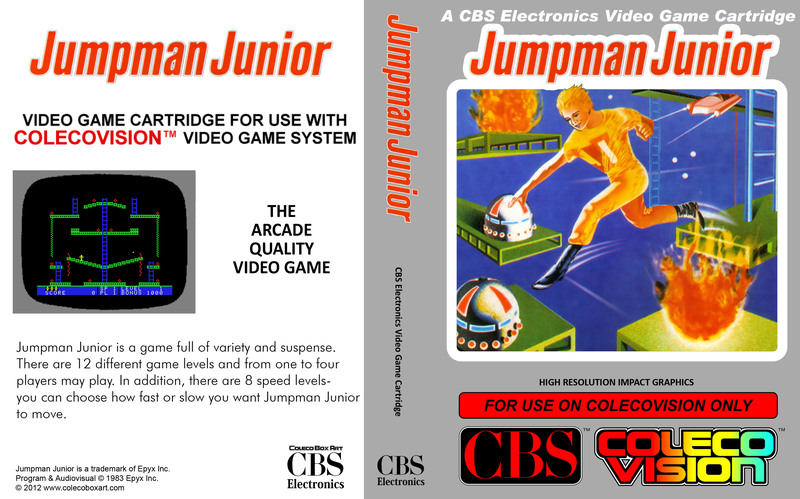 In addition, there are 8 speed levels-you cab choose how fast or slow you want Jumpman Junior to move. 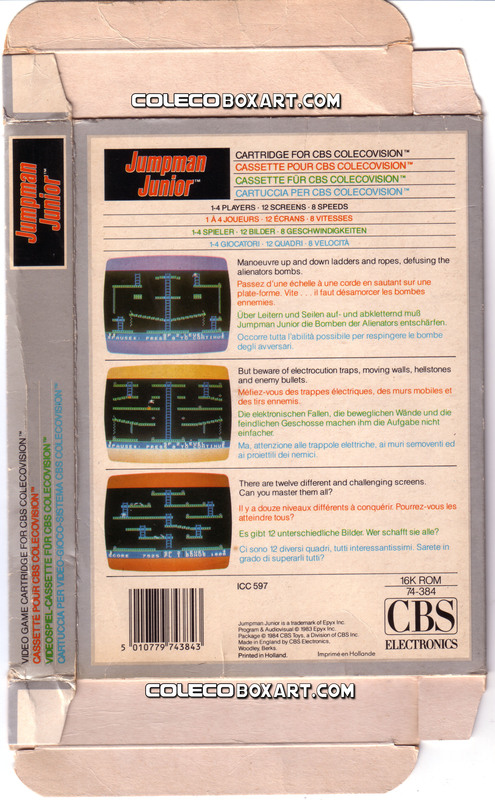 The object is to successfully complete all 12 game levels, scoring as many points as you can. You must try and defuse every bomb on each level… before all your lives are lost to themany dangers delivered by the ALIENATORS. 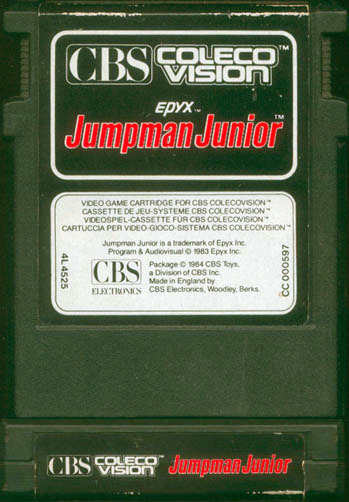 After developing the original game Jumpman, Randy Glover then produced Jumpman Jr, a cartridge title with only 12 levels. 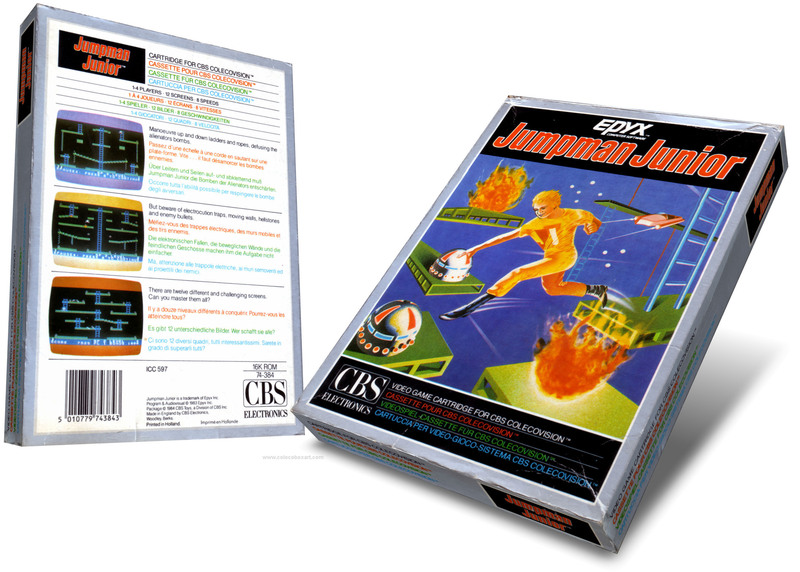 He stated that it wasn't really a sequel to Jumpman, but more of a "lite" version for Atari and Commodore users who didn't have disk drives. 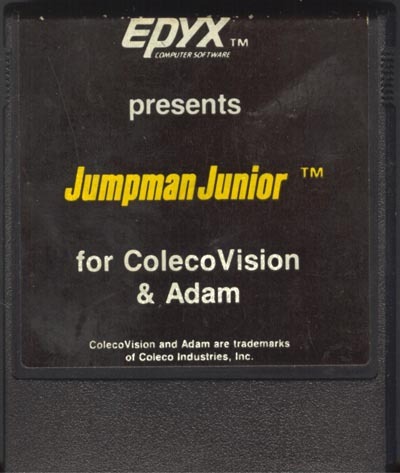 Jumpman Jr was then ported to the Colecovision. 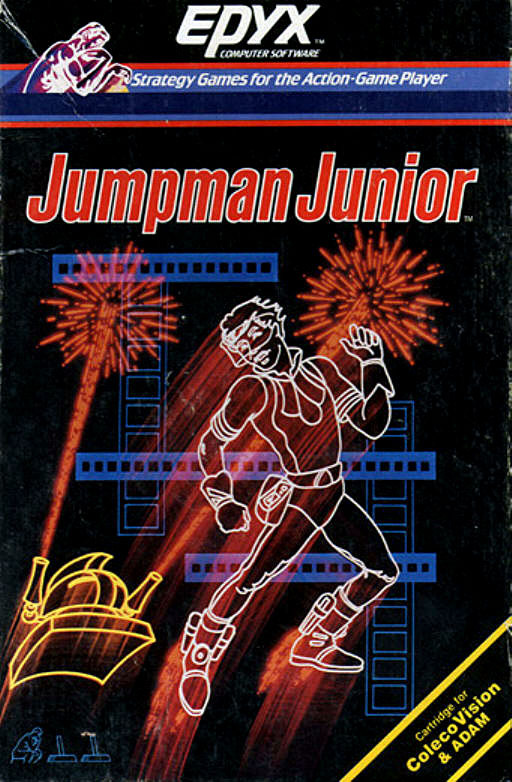 Much like the original, Jumpman Jr was designed around the Atari 8-bit family's hardware and Randy Glover had to modify it for the Commodore 64. Two of its levels (Dumbwaiter and Electroshock Traps) were turned into Sreddal (Ladders backwards) and Fire! Fire! 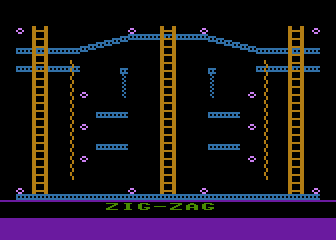 on the latter (the Colecovision version used the Commodore levels).